One of my very favorite holidays is almost here! I love Valentine’s Day! Not only for the chocolates and love, but I also really appreciate all of the chances to make things for the season. 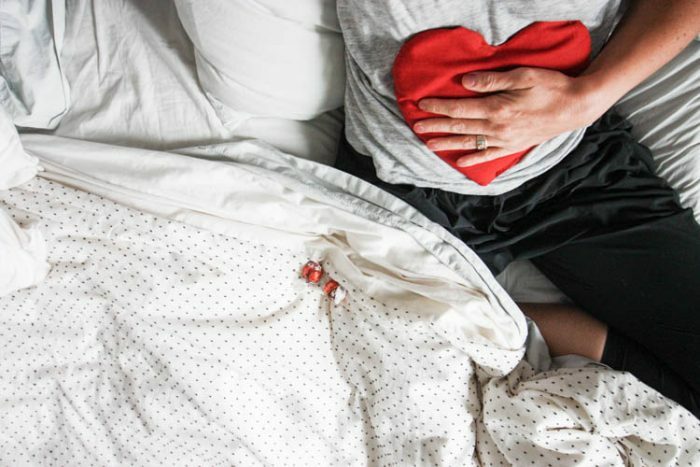 Here are some of my very favorite Valentine’s Day DIY projects from the last few years. 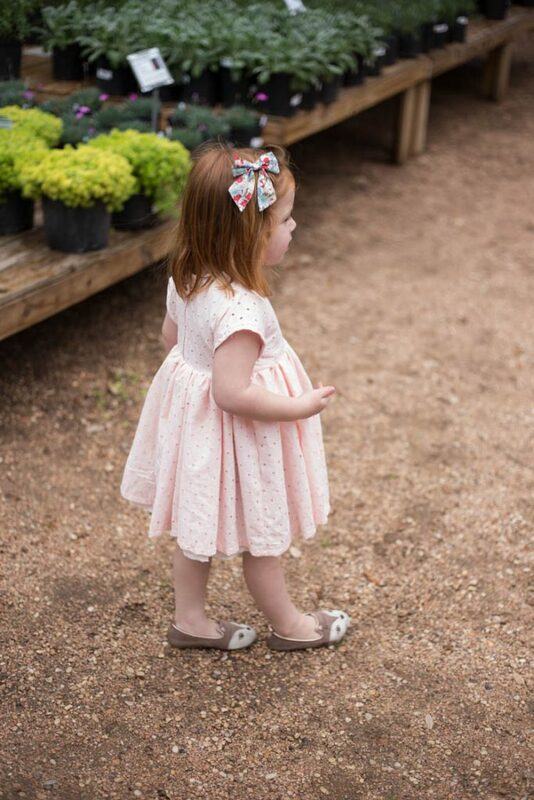 Seeing this little dress makes me want to immediately begin a sweet dress for Plum this year! I haven’t made as much time to sew lately as in years past, and I miss it! This dress was one of the projects I created during our year of not shopping. The blush pink eyelet fabric was something I had in my stash from years past, and it was perfect. It goes to show that you probably have everything you need right now to make something you love! Do you have Star Wars Obsessed kids, too? All three of mine are deep in the world of the Jedi Masters. 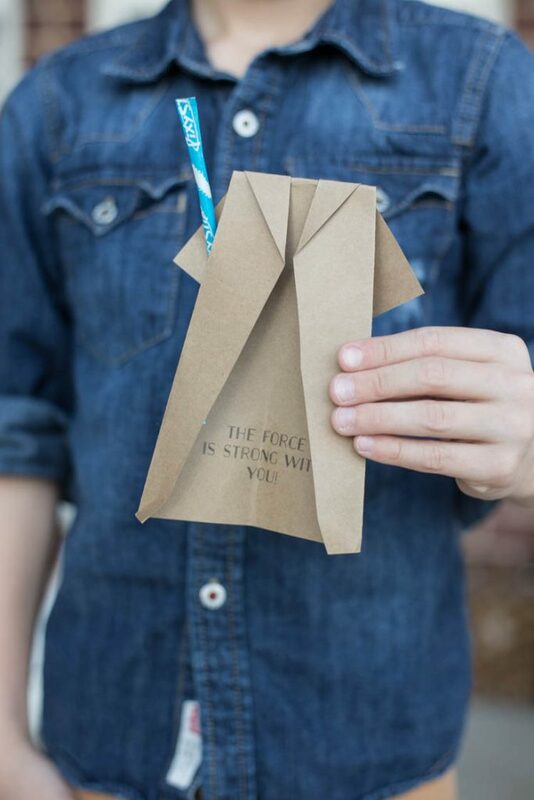 They were all thrilled when I created these simple Jedi Valentines that use Pixie Stix as the lightsaber! The original post includes a free printable download, making these easier than ever. I did all of the work for you! Head over to the post for instructions and the printable PDF. 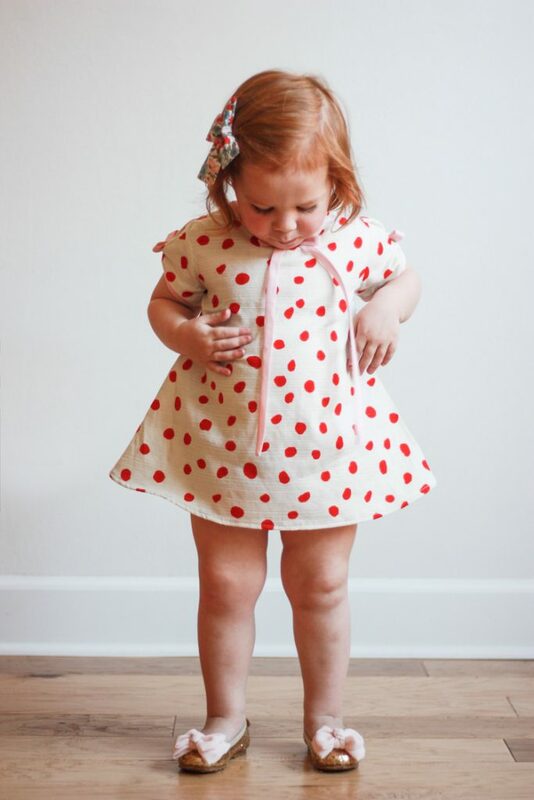 Can we all agree that chubby toddler thighs take the cake for cutest thing ever? I die! This polka dot swing dress was one of my very favorite handmade dresses ever. I don’t keep a lot of things, but you can bet this one is tucked into Plum’s memory box for when she is older and (maybe) has a little girl of her own. Take a closer look at the details in the full post. Ready for another easy printable Valentine for your kids’ classes? 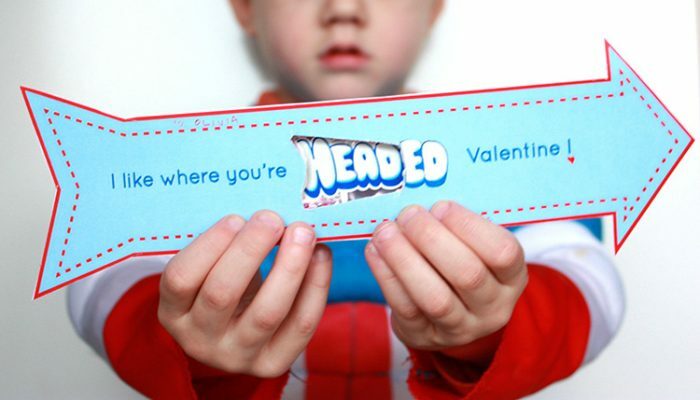 I designed this easy Arrowhead Valentine to fit an Airhead candy, because it’s one of my favorites. Again, the printable file is included in the post, so feel free to head over and download! One of my very favorite Valentine’s Day traditions is to have a special dinner, and give each child a book we’ve picked out especially for him/her. This is something my own parents did, and it has carried into my own little family. 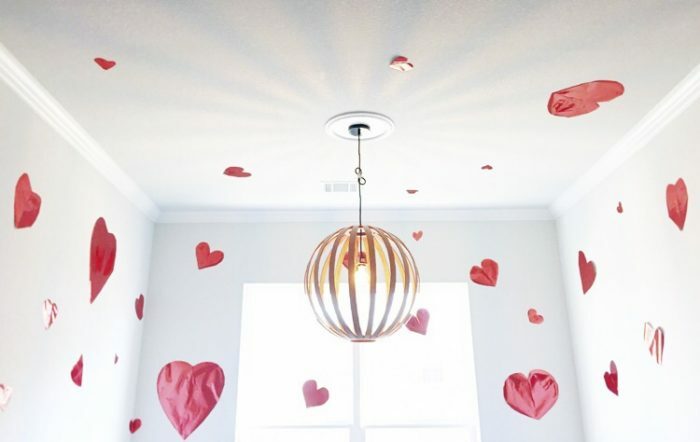 A few years ago I went wild, and covered the whole dining room in huge paper hearts–all cut from one roll of dollar-store wrapping paper! It was so easy and made such a big impact! Click through to see the whole scene! 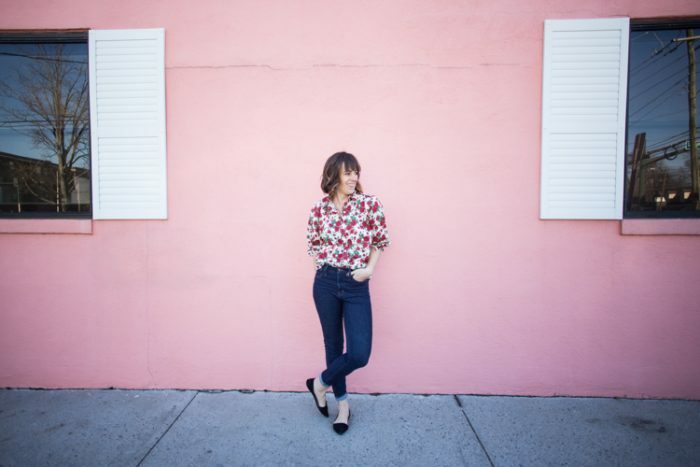 What is a Valentine’s Day round-up without sharing this red roses shirt. I found this amazing fabric at Liberty of London, in London, and knew it had to be a button front shirt with big bow sleeves. After two years, it is still one of my favorites. Click through to read all about the pattern I used and how I altered the sleeves to include the fun bows. Oh how I love a party! It feels even more fun to me when I incorporate some sort of craft or activity. 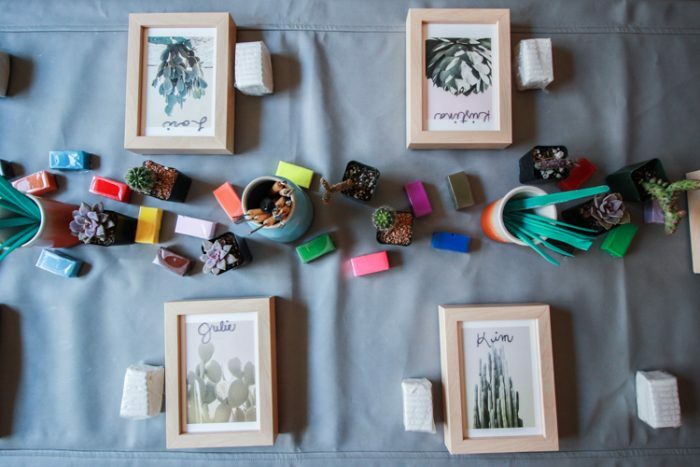 This Galentine’s Day party was complete with a whole station for making marbled planters. Each friend chose her own colors, I taught them how to mold the planter, then we baked them and added baby succulents. The last time I visited a friend in Texas, she still had her marbled planter pot with the now-larger succulent in the kitchen window. The post has the full DIY and more details! And here are a couple more ideas that aren’t directly Valentine’s related but would be really fun to incorporate into the holiday! 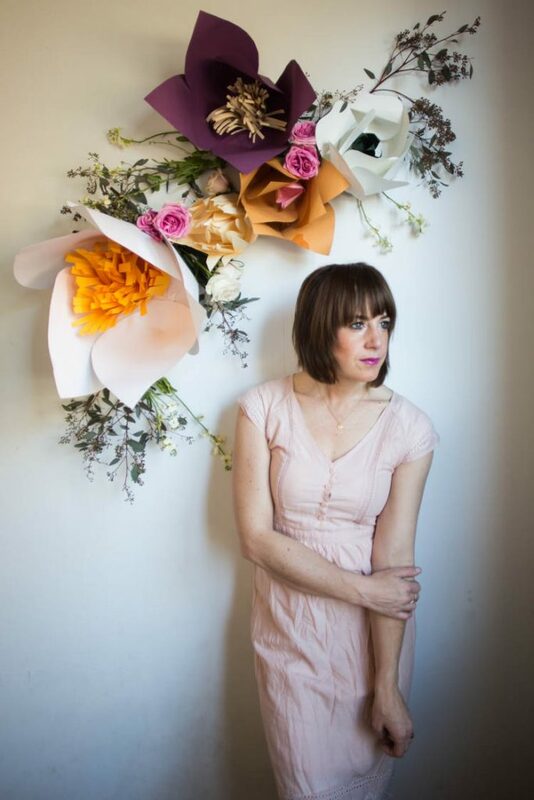 A few years ago I was making large paper flowers for use at corporate events! I went ahead and shared the full DIY tutorial so that anyone could make these amazing indoor gardens and arches. The flowers are super fun to make, only use colored paper and hot glue, and make a big impact wherever you use them. Whipping up some for a Valentine’s Day celebration would be amazing! When I had surgery a couple years ago, several friends brought by special treats and shared love with me. One that I used daily for a few weeks was this canvas rice warmer in the shape of a heart! It was so thoughtful and useful. I shared a full DIY as well as the printable pattern PDF for the warmer in the post, so you could make a few for friends who need some extra love this Valentine’s Day! What an amazing holiday! I’ve sure celebrated well though the years! Feel free to use any of these idea to make your own holiday extra special. Tag me on Instagram @livefreemiranda, to show me what you’ve been up to!